Springfield, Illinois firefighter/paramedics and police responded to the home of Dr. Thomas Shanahan about 7:30 p.m. Wednesday, November 8, 2011. Shanahan was found unresponsive by a neighbor outside, near his home. Soon after the discovery, a death investigation was underway, and Sangamon County Coroner Cinda Edwards reported in an autopsy that Shanahan had cuts on both sides of his neck that were “consistent with self-inflicted wounds. Police have not classified the death investigation as a homicide or a suicide. 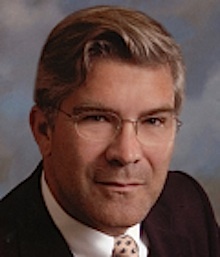 Dr. Thomas G. Shanahan, MD. Just after Thanksgiving last year Dr. Thomas Shanahan, a radiation oncologist fought to save the life of Mary Reindl, 78, who other doctors had decided only had 24 hours to live with advanced lung cancer and chronic obstructive pulmonary disease. Reindl arrived at Memorial Medical Center with abdominal bloating and labored breathing. Shanahan reviewed her case and treated her with a simple resolution. He had a nurse remove eight liters of gas from her colon. The gas was apparently compressing her diaphragm, causing the labored breathing. Other doctors disagreed with Shanahan. A colorectal surgeon had agreed to perform a colonoscopy, but refused to perform the gas release. Doctors, who had previously taken Mary Reindl off of oxygen and increased her pain medication with the expectation of her death within 24 hours, even called in the patient’s son to dispute Shanahan’s change in treatment. The doctors called Shanahan’s plan futile. Mary Reindl’s labored breathing was relieved and she lived for seven months following the colorectal gas release performed by a nurse. The other doctors complained that Shanahan was ‘disruptive’ and ‘abrasive’ during the ordeal. There was apparently some animosity after case. Shanahan moved from Memorial Medical Center to St. John’s Hospital after his lifesaving disagreement with doctors at Memorial Medical Center. Shanahan also served temporarily as a Springfield alderman, replacing Frank Edwards (husband of the coroner, Cinda Edwards), who became acting mayor after the suicide of Mayor Tim Davlin, who committed suicide in December 2010. Shanahan’s death is being investigated in the case, which police describe as an apparent suicide. Dr. Thomas Shanahan specialized in prostate brachytherapy, which involves the precise placement of radiation sources directly at the site of the cancerous tumor. He was a clinical professor in Urology and Radiation Oncology at the Southern Illinois University School of Medicine in Springfield, Illinois. He also worked at Carle Clinic in Urbana, Illinois. He was the Radiation Oncology Committee Chairman for Mayo Clinic’s North Central Cancer Treatment Group and co-authored over forty publications. He was an instructor for the monthly Chicago Prostate Cancer Center’s course on prostate brachytherapy from 2000-2005. He mentored prostate brachytherapy start-up programs in the United States, Trinidad and Tobago, Jamaica, Japan, and South Africa. Dr. Shanahan graduated from Northwestern University Medical School, completed his residency at the University of Wisconsin, and was board certified by the American Board of Radiology in Radiation Oncology. He was a fellow of the American College of Radiation Oncology. He was repeatedly selected to “Best Doctors in America” by his peers. Thom was a graduate of St. Viator High School in Arlington Heights and also attended Arlington High School in 1974, and Our Lady of Wayside earlier. He also served as a medic in the U.S. Army and was stationed in Korea at the 38th Parallel. In lieu of flowers, memorial contributions may be made to: Central Illinois Foodbank, 2000 E. Moffat, Springfield, IL 62702 or St. Viator High School, 1213 E. Oakton St., Arlington Heights, IL 60004, or The High School of St. Thomas More, 3901 N. Mattis Ave., Champaign, IL 61822. Legacy.com Dr. Thomas Shanahan, M.D.